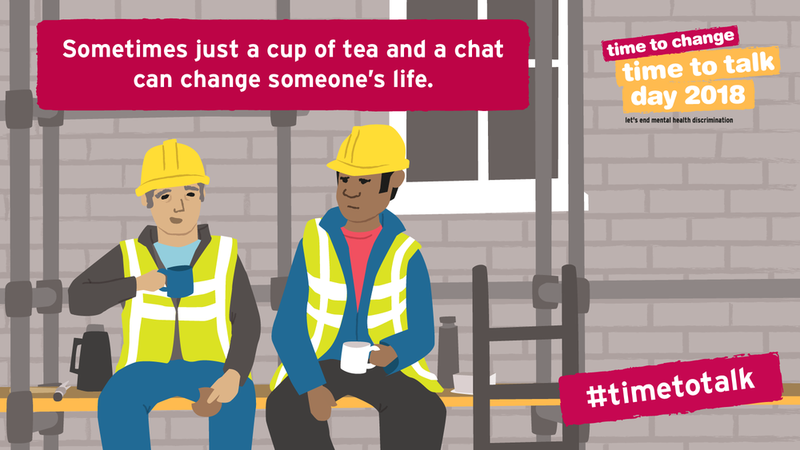 Time to Change is a mental health campaign in England, launched in 2009 with the objective of reducing mental health-related stigma and discrimination. 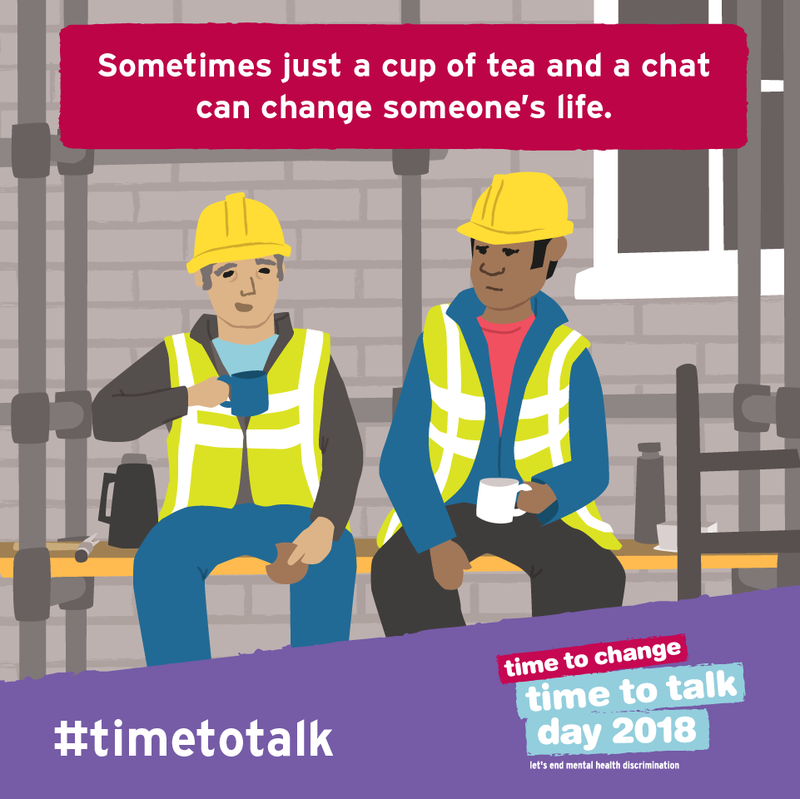 Time To Talk Day has become one of their annual events, encouraging all of us to be more open about mental health issues - to talk, to listen, to change lives...wherever you are. I was asked to create a set of five illustrations showing people in everyday scenarios talking about mental health, to be used as part of a social media campaign running up to 'Time To Talk day'. The various scenes were discussed with the client, but ultimately set by them along with the copylines. The illustrations needed to incorporate the Time To Change logo and existing brand colour palette. Each illustration was created in 2 formats - square for Instagram & Facebook, 16x9 for Twitter. 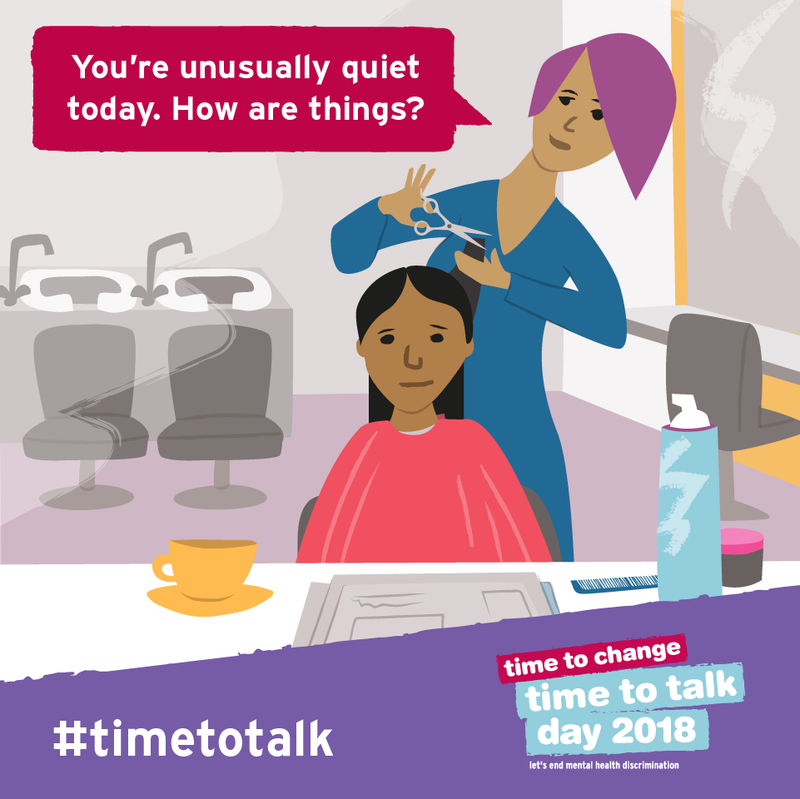 Please could you give a brief overview of Time To Change, outlining the sort of work you do there, and also specifically what Time To Talk day is all about? 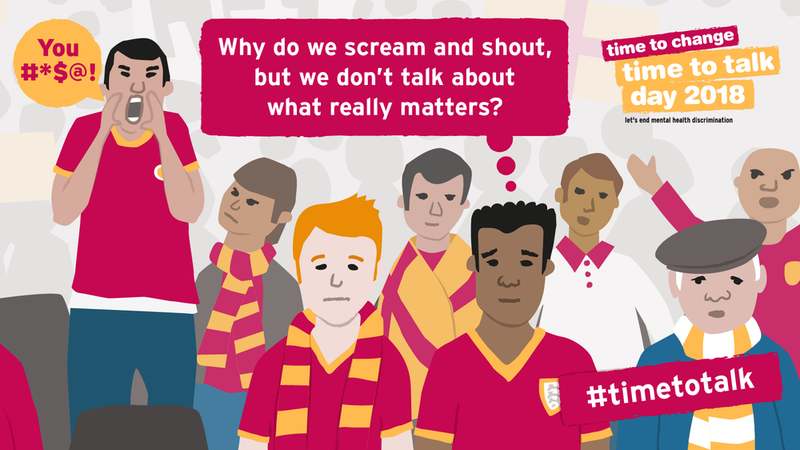 We are a campaign to change the way people think and act about mental health: many people with mental health problems say that the shame and isolation around mental illness is worse than the illness itself. We work in schools, workplaces and communities to change attitudes towards people with mental health problems, as well as online! 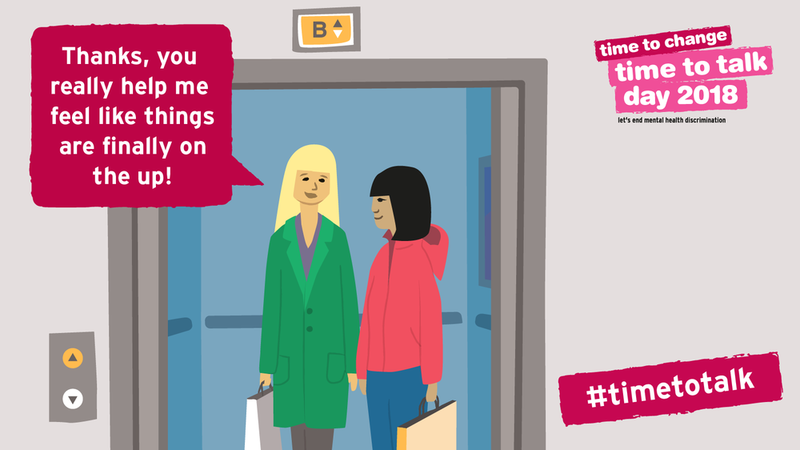 Time to Talk Day is about generating as many conversations about mental health as possible, online and offline, to show that mental health isn’t something we should be ashamed to talk about. What prompted you to select Carys to work with you on this campaign…was there anything particular you hoped she would bring to the project? I think I googled ‘charity illustration’ and she came up! But more seriously, looking at her website, she had worked with similar clients before and I thought she displayed a range and versatility of illustration styles that suited our brand. I was also really reassured by the transparency of her process – the ‘project journey route map’ is excellent, I think every freelancer & agency should use it! I know you have previously worked with other illustrators for similar campaigns, how do you feel Carys compared, in terms of approach and quality of work? Carys was great – she engaged in the nature of the project substantively, offering ideas and suggestions, rather than just creating strictly within a brief. She was also good from a project management perspective, keeping us to timelines when we were slipping but also allowing us to take extra time to deliberate when it was needed. The depth and quality of the illustrations were also better than what we have received before. 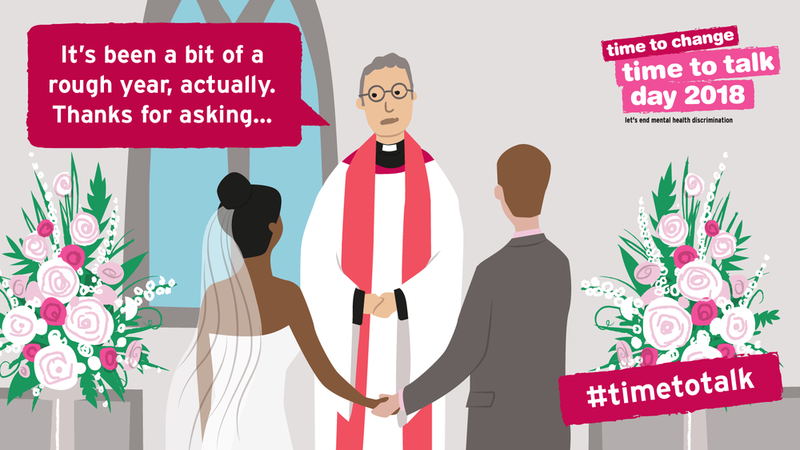 Do you have any measure of how well the illustrations (as part of the campaign) have been received, and the level of engagement for example?